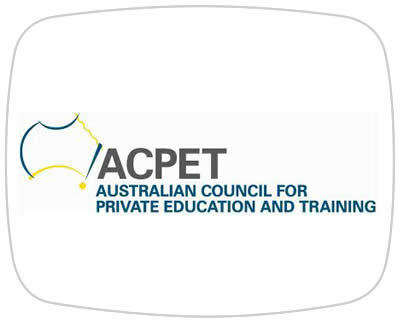 ACPET is a national industry association for independent providers of post-compulsory education and training, for Australian and international students. Yum's eLearning Director Michael Gwyther was invited to present a series of webinars and face-to-face workshops to ACPET members and clients. Michael's workshops are a mix of lecture, demonstration, and stories from experience, try and play with activities where participants have the opportunity to apply Michael's ideas to their own training practice. "Preparing Video & Audio tools to use in Training"
This workshop guided participants through creating and customising Video and Audio Sequences for use in the flexible delivery of training. This was a hands on session where Michael will guide participants through using the basics of drafting, recording, editing and distributing video and audio to enhance the learning content of blended deliveries. A range of social audio tools was also explored. "Learner Management Systems - Introduction to Moodle 2.0"
"eAssessment - Digital Teaching Tools for Evidence Gathering in the Blended Learning Environment"
This one hour online webinar provided guidance on effective evidence gathering approaches using digital teaching tools. We’ll explored a blended delivery approach into face to face, self paced and facilitated online components and explore appropriate evidence gathering methods and tools for each. "Going Mobile – Teaching & Learning Online"
Student/Trainer productivity tools for capturing web resources, sharing files, web bookmarks, developing virtual assessment responses and communication; through the use of a variety of free and low cost apps. "Build a Business case for implementing e-Learning" Dive into eLearning or Plan and Implement cautiously and carefully? We’ve heard good and bad stories either way but eventually someone will want to see a business case for an eLearning project. In this session we worked through a Business Case for eLearning template.